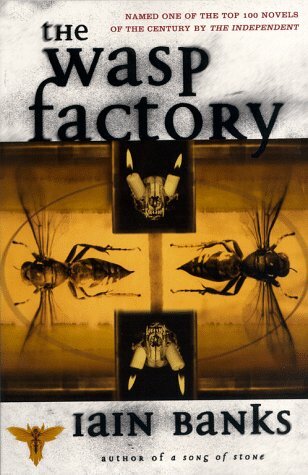 I just finished reading Iain Banks’ The Wasp Factory. It is a disturbing novel on many levels; even the back-cover comments warn against reading it. The reason for mentioning it on this blog, however, is that it is so full of religious ideas that it would be a shame not to address them here. I won’t put in any spoilers for those who might, even with adequate warning, want to read the book. The wasp factory of the title is a divination device. The narrator, Frank, does not believe in God because of the unfairness and cruelty in the world, although he is also a frequent perpetrator of cruelty. As he seeks revenge on animals other children, Frank views their suffering as a form of punishment from the God he disbelieves. At one point, after his brother Paul dies, Frank compares him to his old dog Saul, also unfortunately deceased. At this point he reveals, “Paul, of course, was Saul.” Death is the Damascus Road experience in this world devoid of a deity, but one where death is considered far more certain than life. At one point Frank declares the sea to be a mythological enemy, a point of view shared by the Bible and many ancient societies. Frank is a neurotically ritual-bound individual. No matter how gruesome, his tasks are part of an elaborate system that must be repeated in order to maintain its efficacy. At one stage Frank declares, “this is like intellectuals in a country sneering at religion while not being able to deny the effect it has on the mass of people.” This statement is more insightful than it first appears – it is the dilemma of many who attempt to understand religion who are considered a luxury not to be afforded by society. Frank is a paradigm: people are religious, even in heterodox belief systems. The Religious Right has understood this for decades: talk religious talk and they’ll vote for you. Most people have no way of checking out what form this religion might take. It makes me almost as nervous as The Wasp Factory itself. I didn’t have the opportunity to write a post yesterday because my PowerPoint file for my class had been deleted. I still don’t know how. I’ve been using varieties of the same computer I have now for about 20 years and I’ve never lost a file before. I discovered this, of course, just before I began packing the car with the sherpa-load of equipment that I need to haul the 50 miles to Montclair with me to teach my class twice a week. The loss of the day’s lecture notes weighed heavily on my mind as I climbed into my car and discovered a problem with the electrical system – the blinker lights on the right wouldn’t shut off. (They finally started to behave normally half-way to the university.) And a blizzard was on the way. 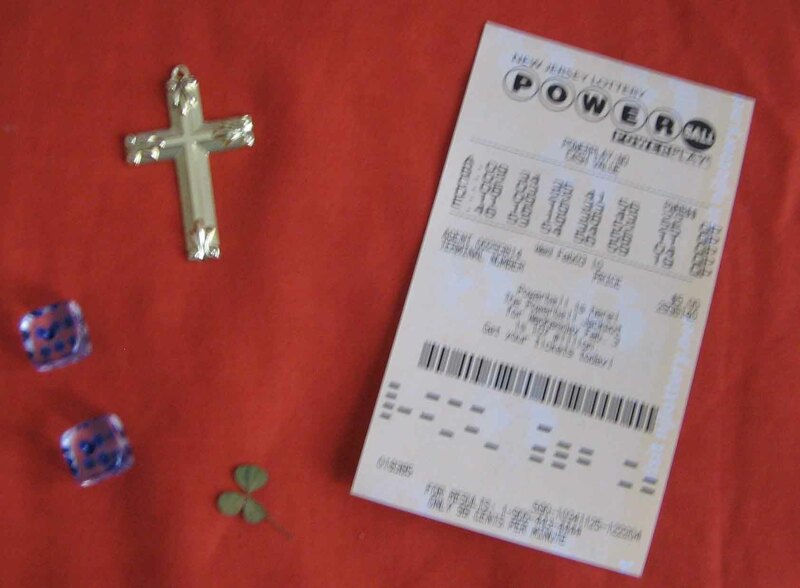 At times like this my thoughts turn to my prosperity cross. I wrote about the cross in a previous post where I indicated that I was going to try a good-faith experiment to see if God really wants me to prosper. The last 17 years haven’t been good financially, so I tried my best to believe, and I have been carrying the cross around with me for a few weeks now. In that time I have had a publication rejected, did not get a full-time job after a very good interview, didn’t win the lottery (I bought a ticket as an experiment although I never play normally), my wife had more hours added to her job with no increase in compensation, my health insurance company politely declined to pay for an expensive dental procedure, and I have yet to be paid for my four weeks of teaching at Montclair. Oh, and two cars very nearly collided with me yesterday (not because of my blinker! One tried to pass me on the left as I was making a left turn into a parking spot in a parking lot, the other passed me on a single-lane entry ramp onto the Garden State Parkway while I was merging at the posted speed limit). I’m beginning to think they sent me a defective artifact. In my prophecy class we’ve been discussing divination. From ancient times people have attempted to discern the will of the gods through a wide variety of techniques. Watching birds in the sky, smoke from altars, oil on water (haven’t discovered smoke on the water yet), casting lots, reading animal livers, and having significant dreams – any of these might reveal the hidden will of the gods. And ancients carried talismans at times to hedge the odds in their favor. We like to think of ourselves as more sophisticated than that, relying on more updated and civilized ways of influencing the almighty. My pocket cross is one of those modern means to induce divine favor my way. Perhaps I am reporting too soon, since I’ve got a backlog of nearly two decades of financial woes to overcome. In the short term, however, it looks like a real blizzard is on the way.